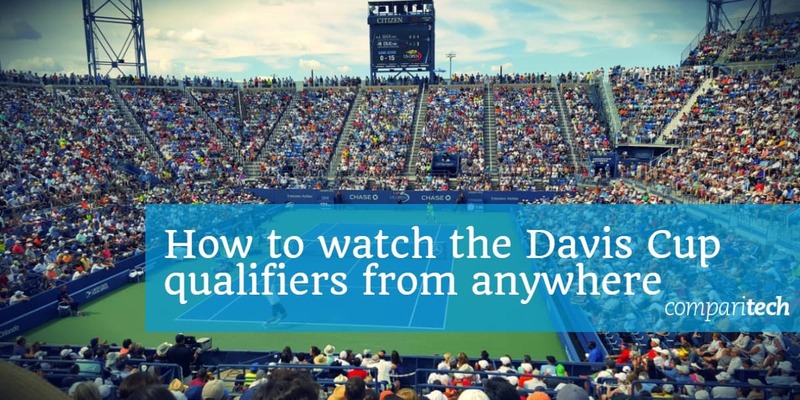 Looking to watch the 2019 Davis Cup qualifiers online? Today, we’ll go into more detail on how this tennis tournament works and explain how to stream every Davis Cup match live. We’ll also show how you can live stream the Davis Cup from anywhere in the world using a Virtual Private Network (VPN). The Davis Cup qualifiers will begin on February 1, with 12 tennis matches taking place over two days. While it’s possible to watch most of these games one after another, some will overlap. Don’t worry, though: below, we’ll not only explain how you can stream the Davis Cup live, we’ll also let you know how to watch any matches you might have missed on-demand. This post will only recommend official Davis Cup broadcasters. While there are almost always unlicensed streams available for high-profile events such as this, we don’t recommend using them. To begin with, they’re usually low-resolution, laggy, and on a delay. Additionally, they’re prone to copyright strikes, meaning the stream could even be taken down before the match has finished. There are several inexpensive ways to watch anyway, so there’s really no reason to resort to unofficial streams. Streaming platforms are increasingly using geo-restriction to prevent users from outside of their broadcast areas from watching anything. This means you’ll have to use a VPN in order to access these services from abroad. VPNs encrypt your traffic, preventing your Internet Service Provider (ISP), network administrator, and employer from monitoring your online activities. However, they can also be used to spoof your location and access geo-blocked streaming platforms abroad. We recommend ExpressVPN: it has powerful security features, fast speeds, and the ability to unblock numerous popular services including Netflix, beIN Sports, and fuboTV from anywhere. Signing up is simple and only takes a few minutes, just choose your preferred subscription length (one, six, or twelve months) and pay. Although you will have to pay upfront, thanks to ExpressVPN’s 30-day money-back guarantee, you can use it to watch the entire Davis Cup and simply cancel afterwards to avoid being charged. 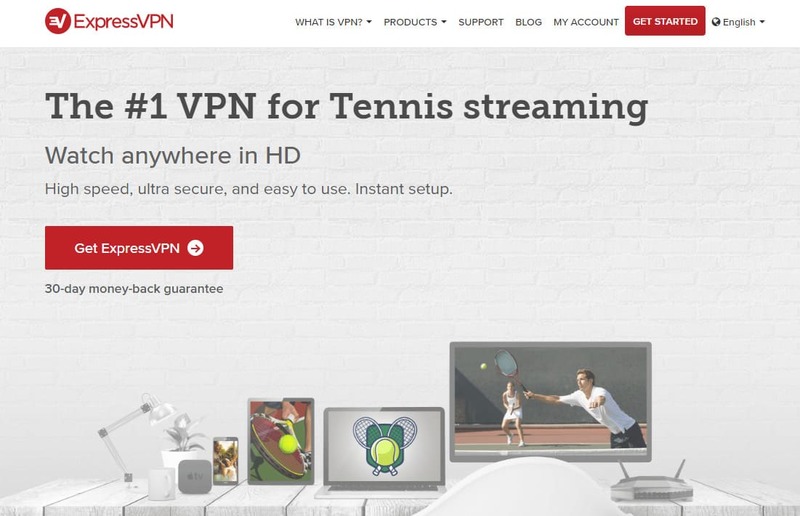 BEST VPN FOR TENNIS:ExpressVPN is ideal for streaming sports as it provides powerful encryption and fast, reliable connections, and can unblock numerous popular streaming services. First, sign up for a suitable VPN service. We’ve touched upon ExpressVPN above but NordVPN and CyberGhost are also good, low-cost choices. Download and install the app, taking care to get the correct version for your device. Decide which streaming service you’d like to use and connect to one of your VPN’s servers in the appropriate country. For instance, you’ll need a French server for beIN Sports or a German one for DAZN. Visit your service’s website. Content should load almost instantly but if it doesn’t, try clearing your browser’s cache and cookies before reloading the page. Because these games will be streamed live, it’s important that you make sure you VPN works ahead of time. This ensures that if you have any issues, you’ll still have time to contact the customer service team for advice and might not have to miss the start of a match. Usually, major sporting events are shown by a dizzying array of international broadcasters, each with their own subscription service and coverage limitations. By comparison, it’s extremely easy to watch the Davis Cup online, and below, we’ll explain how. For most people, the easiest way to watch is to sign up for the Davis Cup’s official live stream service. For the qualifying games, you’ll need the Round package, which costs €7.99 and allows you to watch every match in a given round. This pass also allows you to stream these fixtures for up to seven days after the round has finished. 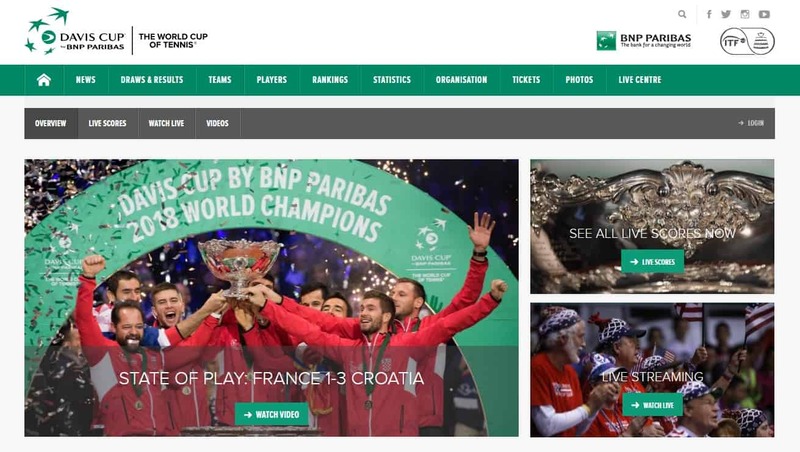 While the schedule on the site does not currently show any upcoming events, the sole purpose of the streaming service is to watch the Davis Cup, so it’s possible the site admins are still working to update the site for this year’s event. This is noticeable, particularly as much of its information still relates to the 2018 Davis Cup Final, although there is evidence of recent activity, such as a countdown to the qualification matches. This service is available from almost anywhere in the world, but users in a few specific countries (France, Germany, Austria, Switzerland, and Japan) will have to use their country’s international broadcaster instead. We’d recommend using a VPN either way, though, as these reduce the likelihood of your ISP throttling your connection as a result of frequent streaming. 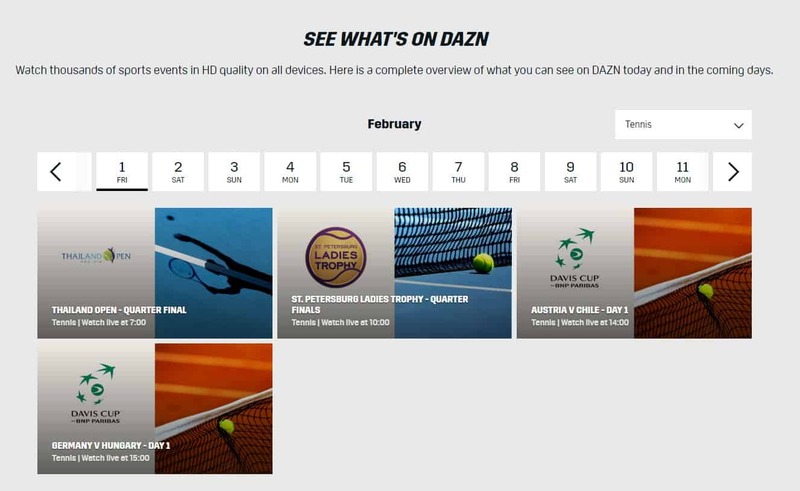 If you live in Germany, Austria, Switzerland, or Japan, you can watch the Davis Cup live on DAZN. This service costs around €9.99 per month (prices vary slightly based on location) and includes a one-month trial. It’s worth noting, however, that DAZN features aggressive geo-restrictions measures. If you’re having difficulty unblocking the site, we recommend contacting your VPN provider to find out which servers work. This service won’t show every single match, but will air two qualification games each day. There appear to be slight differences based on where you’re located, though: for instance, German users can stream Austria vs. Chile, while those in Japan have access to China vs. Japan instead. French tennis fans can watch the 2019 Davis Cup live on beIN Sports. While this platform won’t broadcast every fixture, it will show the vast majority of qualification games, including those in which France is playing. beIN Sports packages start at €15 per month, but unfortunately, despite this service offering a free trial in certain countries, France isn’t one of them. beIN Sports is available across numerous European and Middle-Eastern countries, but the Davis Cup will only be showing on the French version. As such, if you’re outside of France, you’ll have to use a VPN to gain access. How does the Davis Cup tournament work? First, there are the qualifiers where 24 countries compete for the right to play in the Davis Cup Finals. Countries that lose their qualifying match are entered into the Zone Groups competition and will play against countries who lost their qualifying match last year. The 12 teams that win their qualifier will be joined by last year’s semi-finalists and two wild-card countries (this year, these are the UK and Argentina). These 18 teams are split into three groups of six and compete in a round-robin event. The top country in each group is then joined by the two teams with most games and sets won, and the quarterfinals begin. From here on, it’s a knockout competition. When just two teams remain, it’s time for the Davis Cup Final. Which countries are competing in the Davis Cup qualifiers? A total of 24 countries are playing in the 2019 Davis Cup qualifiers. Take a look below for the full list of 2019 entrants and the name of each team’s captain. Which countries are expected to do well? 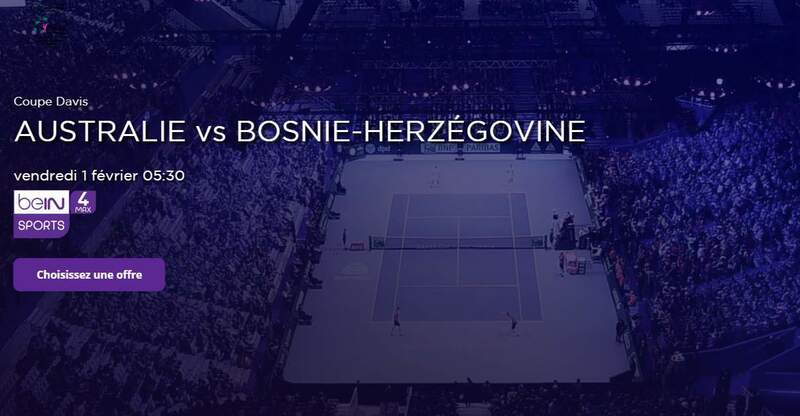 For the last three years, France and Croatia have dominated the Davis Cup. Worse still for the other teams, this means that they don’t have to qualify this year, having been granted automatic progression to the semifinals. There are several dark horses in this race, however. Great Britain and Argentina usually do fairly well, often making it to the quarterfinals. As this year’s wildcard picks, they’ll have their best opportunity in years to take the top spot, although this will require them to fend off fierce competition from seasoned Davis Cup veterans such as Italy, Serbia, and Australia. 4 How does the Davis Cup tournament work? 5 Which countries are competing in the Davis Cup qualifiers? 6 Which countries are expected to do well?